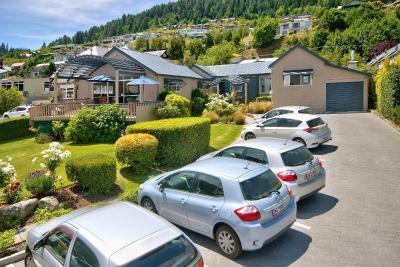 Coronet View is a 4-star property in Queenstown, a 10-minute walk from the resort centre. There is a choice of hotel-style Bed and Breakfast rooms or self-catering 1-6 bedroom apartments. Free WiFi and parking are available. Located 5 minutes’ walk from central Queenstown, Melbourne Lodge Bed & Breakfast offers comfortable accommodation with free unlimited WiFi and free off-street parking. Some accommodation boasts mountain views and free breakfast. 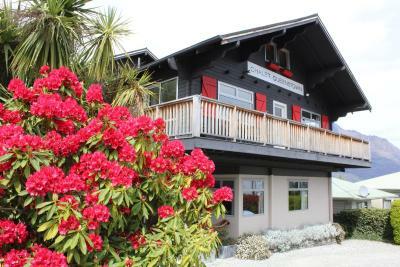 Just 5 minutes’ walk from Lake Wakatipu, Larch Hill Bed & Breakfast features rooms with magnificant lake and mountain views. It features free Wi-Fi and free generous breakfast. Free parking is available on site. Centrally located, Queenstown House Boutique Bed & Breakfast and Apartments offers free Wi-Fi and free off-street parking. Each room and suite has a modern en suite bathroom with shower and luxury bathrobes. Offering free Wi-Fi and a hot tub surrounded by lovely gardens, Spa B&B is situated just 600 metres from the shores of Lake Wakatipu. All rooms offer mountain or lake views, some offer a private hot tub. Featuring a patio or lake and mountain views from all rooms, free WiFi and complimentary breakfast, The B & B on the Hill is just a 5-minute drive to the centre of Queenstown. Free parking is available. Featuring free WiFi and a fitness centre, Cherish Bed and Breakfast offers accommodation in Queenstown, 2.7 km from Shotover River. Free private parking is available on site. Rooms have a private bathroom.